Center Ike Anigbogu played two minutes against Brooklyn on Saturday. And so begins the Anigbogu shuffle. The Indiana Pacers assigned center Ike Anigbogu to their NBA G League affiliate, the Fort Wayne Mad Ants, on Monday. Anigbogu, 20, was moved back and forth between Indianapolis and Fort Wayne last season, playing 11 games with the Pacers and 20 with the Mad Ants. 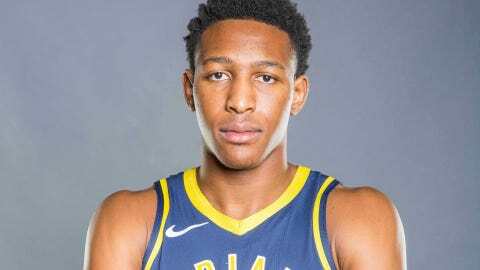 The 6-foot-10, 250-pounder from UCLA played in one of the Pacers’ first three games, collecting one rebound and one blocked shot while going 0 for 2 from the field in two minutes of play in a win over Brooklyn on Saturday. The Mad Ants open their 2018-19 schedule Nov. 2 at the Sioux Falls Skyforce.